Juul is proposing that employers and insurance companies use its e-cigarettes to help workers quit smoking, CNBC reports. U.S. Food and Drug Administration Commissioner Scott Gottlieb, who has won bipartisan support for his efforts to reduce minors’ use of flavored e-cigarettes, announced this week he will leave the agency next month. 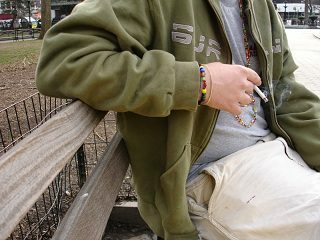 Teens’ use of tobacco products is on the rise, driven by an increase in e-cigarette use, according to a new report by the Centers for Disease Control and Prevention. 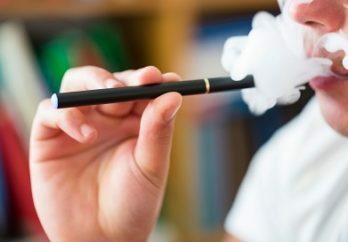 The Food and Drug Administration’s inaction on e-cigarettes is putting teens’ health and lives at risk, according to a new report by the American Lung Association. Juul Labs has launched a $10 million TV ad campaign that aims to convince smokers to switch to the company’s popular vaping device for health reasons. The company’s attempt to become a public-health crusader is drawing skepticism from critics, according to The New York Times. The use of flavored tobacco products is on the rise among middle and high school students because of e-cigarettes, according to a new study. The Food and Drug Administration says the e-cigarette maker Juul and tobacco company Altria are backing down on their pledge to keep e-cigarettes out of the hands of teens, The New York Times reports. More than three million U.S. high school students—20.8 percent—use e-cigarettes, according to a new report by the Centers for Disease Control and Prevention. 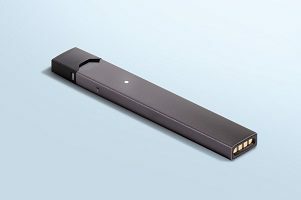 The e-cigarette company Juul Labs announced this week it will stop selling most of its flavored e-cigarette pods in retail stores, The New York Times reports. The company will also shut down its social media accounts. The Food and Drug Administration announced new restrictions on sales of flavored e-cigarettes to teens, The New York Times reports. 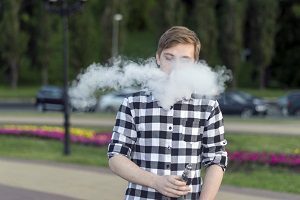 Teens who use e-cigarettes end up smoking regular cigarettes as much as teens who have never vaped, a new study concludes. The tobacco company Altria announced it is pulling its MarkTen and Green Smoke pod-style e-cigarette devices from the market, according to The Wall Street Journal. The Food and Drug Administration is investigating whether e-cigarette companies are marketing their products illegally, according to The Washington Post. 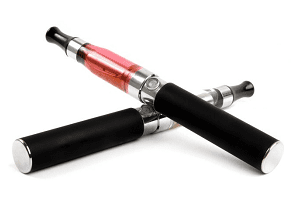 A new poll finds Americans are divided about the risks and benefits of e-cigarettes. The Food and Drug Administration seized more than a thousand documents from e-cigarette maker Juul Labs last week in a surprise inspection, according to The New York Times. The agency said the documents were related to Juul’s sales and marketing practices. The number of high school students who say they used e-cigarettes in the past 30 days has jumped 75 percent since last year, The Wall Street Journal reports.